Hope you had a great Mother’s Day weekend. I celebrated with Jen and the kids over a delicious Tacoma brunch (who knew blueberry muffins could be turned into French toast?!?!). 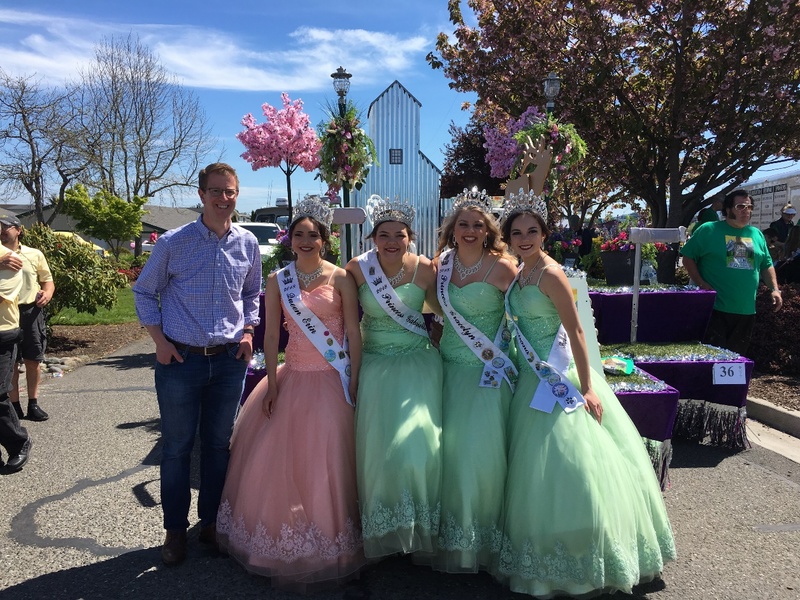 I also had a blast this weekend in Sequim at the Irrigation Festival. This year was the 123rd(!) year for the festival - it is the oldest in Washington State. I had a great time. The weather was great, the bands were better. And, while all the national news may be talking all about the big British wedding this weekend…I had the privilege to meet the Irrigation Royalty - congratulations to them - and to everyone who had a role to play in pulling off the festival this year. There were literally thousands of you there - it was awesome. Bringing irrigation from the Dungeness River to the brown and parched prairie began as a dream of four pioneer settlers who were visionaries of their time. D.R. Callen had moved to Sequim from an irrigated area in Colorado and he convinced James R. Grant, H. Hucksford and Captain Thomas Jones that “water was wealth.” Together they set out to persuade their neighbors to go along with the idea. The skeptics called them “crazy” and said that water could not be made to run uphill; but there were those who believed. On July 20, 1895, a group of about 20 people held the first meeting of the Prairie Ditch. Incorporation papers were signed November 18, 1895, and the hardy pioneers worked all winter long building the ditch and flume. Money was scarce and the surveyor was paid partly in potatoes. Everyone gave what they could...even the children helped by carrying water, running errands and tromping clay into the gravel. Finally, the following spring it was time for the “big day.” On May 1, 1896, the residents of the Dungeness Valley and surrounding communities came by wagon, on horseback and on foot to witness the opening of the headgate for the first time. Think about that - a whole community came together to get the hard work of building infrastructure done. And then they had a festival to celebrate their shared accomplishment. I think Congress should channel that communal spirit. And today, I have a big announcement along those lines. The Federal Transit Administration approved a $75 million grant (approximately 1,190,476,189 potatoes depending on where you shop) to expand the Tacoma Link. Like our ancestors before us, our communities rely on good infrastructure. The Tacoma Link grant will connect more people to jobs, more shoppers to our businesses and more neighborhoods to each other. With these funds, Sound Transit can expand the Tacoma Link line to the Medical Mile, the Stadium Business District and the Hilltop Neighborhood. The government made the grant through the Capital Investment Grant Program, which is a fund that I worked hard to protect through the budgeting process with our Senators Patty Murray and Maria Cantwell. I’ll keep you posted as things progress, so stay tuned. In the meantime, you can read more about the project here. Congress and the president should pony up the potatoes. Nationwide, people are celebrating our infrastructure in the same spirit as the Irrigation Festival. That’s because this week is the 6th Annual National Infrastructure Week. And the answer is…sort of. This week’s event is the official one. And you can learn more about the events that are happening here. But it raises a good point. There’s a running joke in Washington, DC that infrastructure week is always next week. And that’s a big problem. The American Society of Civil Engineers gives America’s infrastructure a D+. In Washington state, we can see the challenges we face on this front all around us. Folks throughout our region sit in so much traffic people are starting to think the speed limit signs are only there for nostalgic purposes. It’s past time to invest in our aging bridges and roads. And when Congress talks about comprehensive infrastructure investments, it needs to consider the whole picture. That includes investing in our aging energy and water infrastructure, growing affordable housing, and improving access to federal lands by addressing the substantial maintenance backlog at the National Park Service. As you may recall, I’ve sponsored the National Park Service Legacy Act to move forward on that front. Here’s more on that. I’m also pushing to expand access to high-speed internet service in our neck of the woods. Investing in rural broadband infrastructure will provide opportunities for everyone from entrepreneurs starting small businesses to students learning computer science skills in rural high schools. Stay tuned for news of legislation I'm working on in that regard. Improving our infrastructure is going to take smart investments. The folks that dug the irrigation ditches in Sequim were paid partly in potatoes because cash was tight. Congress and the president should pony up some more potatoes for our broadband, bridges and roads. The New Democrat Coalition released a pretty thoughtful infrastructure action plan that you can check out here. This report offers a pragmatic approach that I think our pioneer ancestors would be proud of, and I think could draw a lot of bipartisan support. When you see infrastructure, think jobs. Investments in infrastructure mean more jobs. 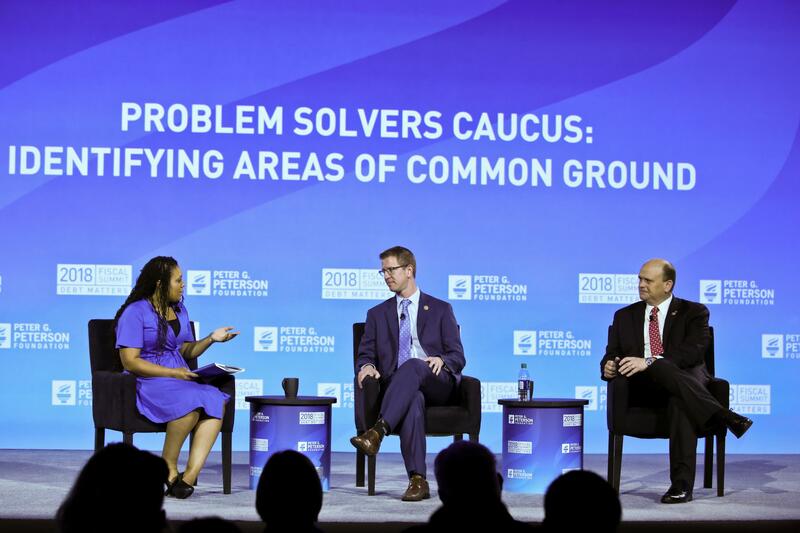 And, in addition to getting the investment piece of the puzzle right, Congress also needs to make sure we have enough workers with the skills to install our broadband in rural communities, build our bridges and pave our roads. Right now, 80 percent of the construction companies in Washington can’t find qualified workers. There’s a huge demand for carpenters, plumbers, sheet-metal fabricators and pipe-fitters. And, a lot of those jobs pay a salary that’s higher than the state average of $54,000 per year (approximately 85,714 potatoes). 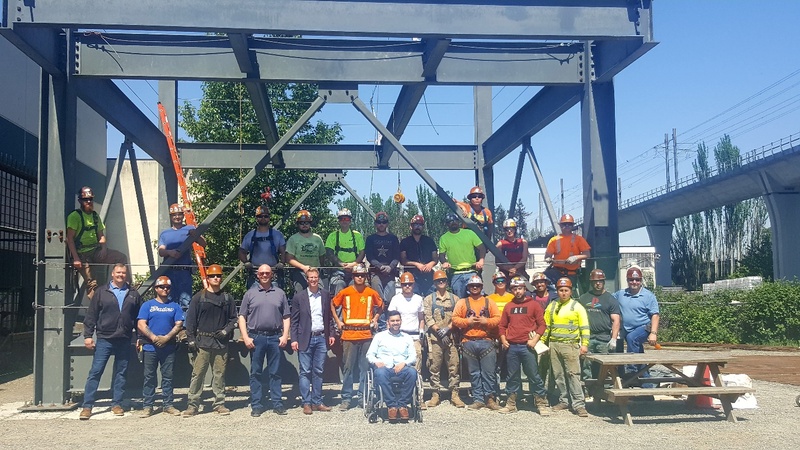 Just this morning I met with the training program for Ironworkers Local 86 to see the cool stuff they’re doing to help people learn the trades. So how can Congress help? One big way is investing in career and technical education. It also means talking to our kids about the value and opportunities that come with learning a skilled trade. According to NPR, the rate of students who take at least three high school credits of occupational education has fallen from 1 in 4 in 1990 to 1 in 5 today. That’s typically a good indicator of how many kids will pursue a skilled trade. NPR just did a great report on Washington and the shortage of skilled trades workers. It’s worth your time. You can listen to it next time you’re stuck in traffic by clicking here. I’ve introduced some legislation to create more opportunities for more people to learn a skilled trade. One piece that will help expand opportunities to our neck of the woods is the Accelerating Individuals into the Workforce Act. You can learn more about that here. That’s the latest on where things stand. I did a whole lot more than just attend the Irrigation Festival in the last few weeks. Here are some of my latest adventures. 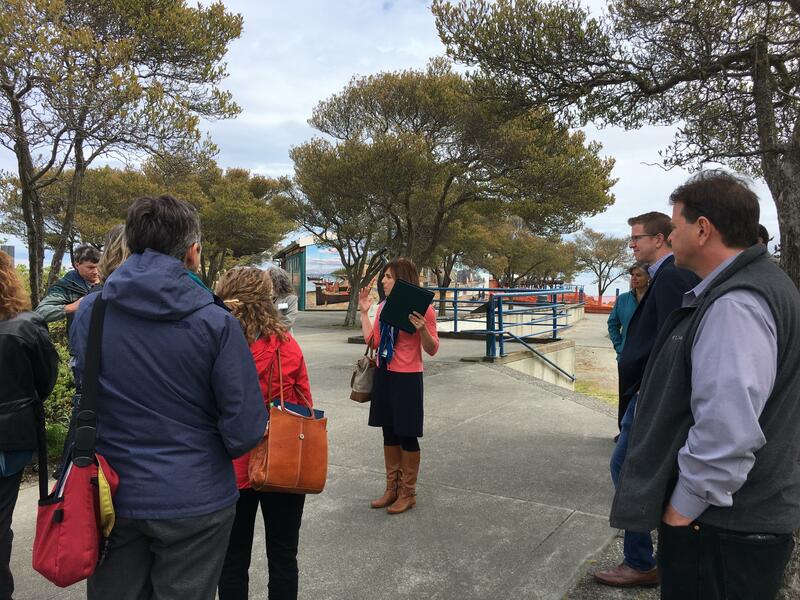 I had a great day in Clallam County, learning about a proposal to expand economic development through the Emerald Coast Opportunity Zone. This joint effort of five tribes, Clallam County, and three cities, the port, and the local EDC is focused on attracting new investments. 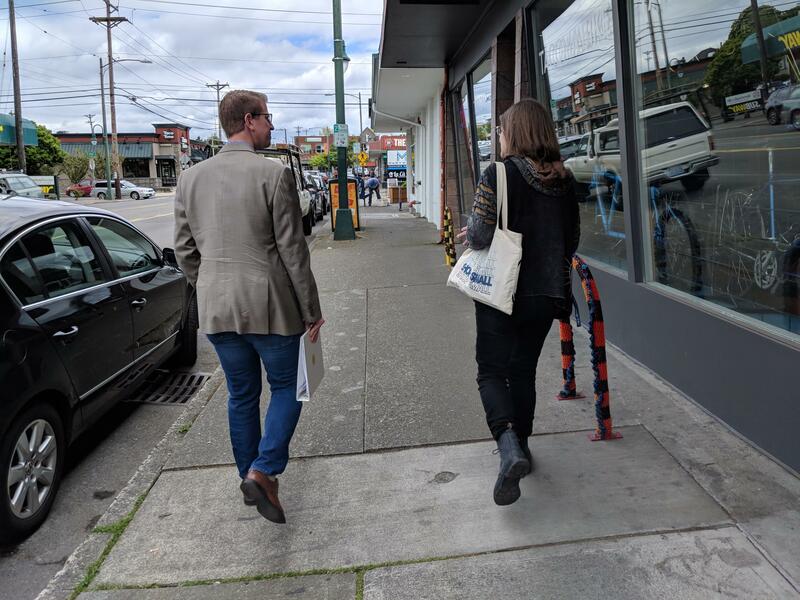 Last Friday, I met with some of the terrific entrepreneurs running businesses in the 6th Avenue Business District in Tacoma. Thanks to all of the nice folks at ReStyle who showed me around and to everyone who participated in my roundtable. 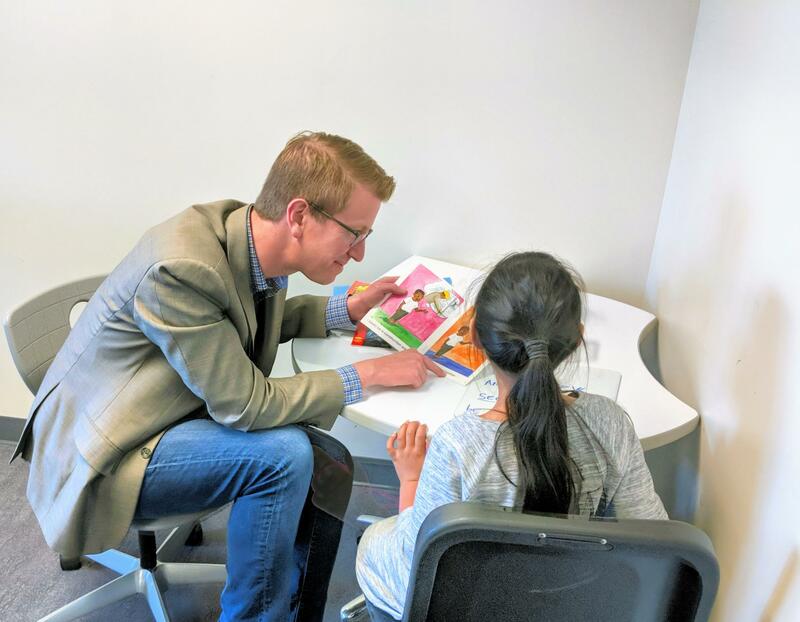 I made some new friends at McCarver Elementary School with their Read2Me program, which helps students brush up on their reading skills and nurtures a lifelong love of reading. Check out more on the program here. Thanks everyone! To all the moms out there, happy belated Mother’s Day!